Twin Falls Therapist: Marcie Scarrow - Therapist 83301. Send A Message To Marcie. Session Fees: Summit Counseling and Marcie Scarrow, MS, LPC is a private-pay clinic. Please call for session fee prices and payment plan options. Marcie Scarrow is a Licensed Professional Counselor and a Certified Biblical Counselor in Twin Falls, Idaho. 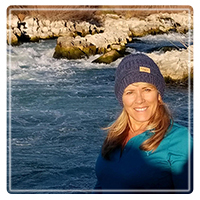 Ms. Scarrow is a professional member of the Idaho Mental Health Counselors Association and the American Association of Christian Counselors. She received her diploma from Washington State University, obtaining a Bachelor of Arts in Education. Marcie then earned her Masters of Science in School and Community Counseling at Northwest Nazarene University. Currently in private practice, Ms. Scarrow is certified as a Biblical Counselor through Light University and the American Association of Christian Counselors. Marcie is clinically and academically trained in therapeutic practices while demonstrating a solid commitment in her faith and incorporating Christian counseling in therapy at a client's request. Marcie Scarrow concentrates on providing a safe environment for individuals to explore what brought them to counseling. She works alongside her clients, focusing on their strengths, with a view towards life challenges becoming opportunities for ongoing growth and change. While addressing concerns in the lives of individuals and their relationships, Marcie uniquely tailors sessions to the needs and values of her clients. Ms. Scarrow has assisted clients with family conflicts, couples counseling, adolescent issues, parenting, anxiety, depression, loneliness, grief, self esteem and women's issues. Marcie Scarrow knows each client is a unique individual who controls the frequency and duration of therapy sessions. She will work with you to achieve your counseling goals based on your values and needs. Marcie believes professional counseling can benefit anyone, and she cares about what concerns people in the midst of life's struggles and daily demands.